A common issue with the iPhone 6 is the weak case design, so this iPhone unfortunately breaks easily. Our most common repair is replacing the front panel. Because it's an IPS laminated LCD the glass, touch panel and display assembly has to be replaced together, independent of which part is damaged. During the repair, we correct deformations in the case of the iPhone too. A capacitive multi-touch sensor layer has been integrated into the surface of the LCD, which makes it possible to enjoy the well-known multi-touch user experience with the iPhone. We only use the specified, high quality sensor panels for repairs. 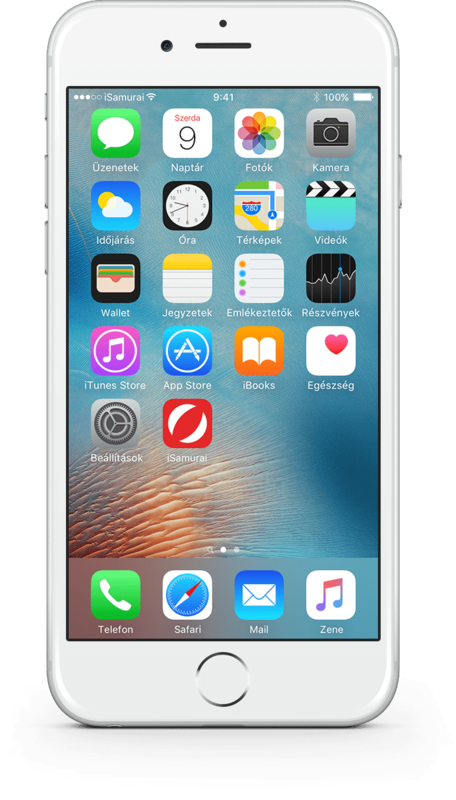 Despite the strengthened glass and the strong metal frame, the most common issue with the iPhone 6 is cracked and/or broken displays. 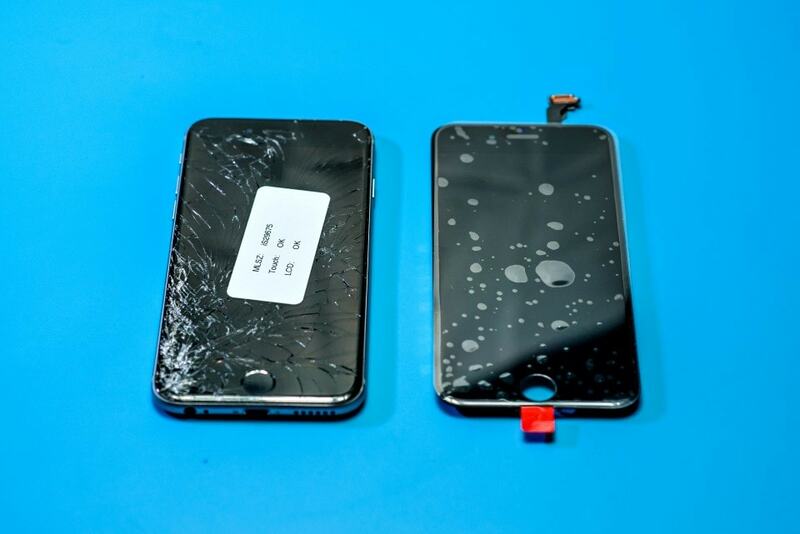 The damaged display can show a variety of faults: cracks forming in the cover glass don't affect the phone's functions, but broken glass can damage the user's hands. If the display is entirely unoperational, it has to be replaced. 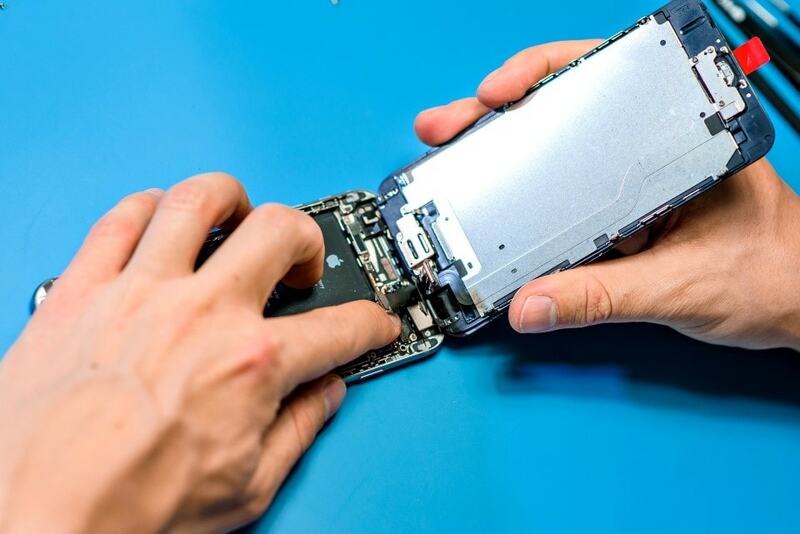 Replacing the display module is an easy process for our trained staff, but it requires serious experience and training, so other parts of the device don't get damaged during the repair. The repair gets done quickly in our service center, so clients can stay and wait it out. We only use the specified, high quality panels for repairs. First, as with all repairs, we turn off the device. Next, we can remove the two 3.6 mm Pentalobe screws that are adjacent to the lightning connector. We lift up the display to a maximum 90 degrees - so we don't damage it's ribbon cable. We should never work with metal tools inside the case, only professional equipment fulfilling the ESD standard. The cover plate of the battery is held down by one 2.2 mm and one 3.2 mm Phillips screw. After we remove them, we can remove the 5 additional screws from the plate and remove it (the order of screw removal has to be precise, the smallest error can disable the phone). Next, we remove the cover shield, then we disconnect each connector with special plastic tools. After we disconnect the display from the rest of the iPhone, we can start to disassemble it and remove the cover plates and ribbon cable. The ribbon cable of the front sensor panel is fixed in place by 3 Phillips 00 screws and the order in which we remove them is important to avoid damage later. After we freed the ribbon cable, front camera, earpiece speaker and proximity sensor, we can remove the front microphone too from the old display panel. 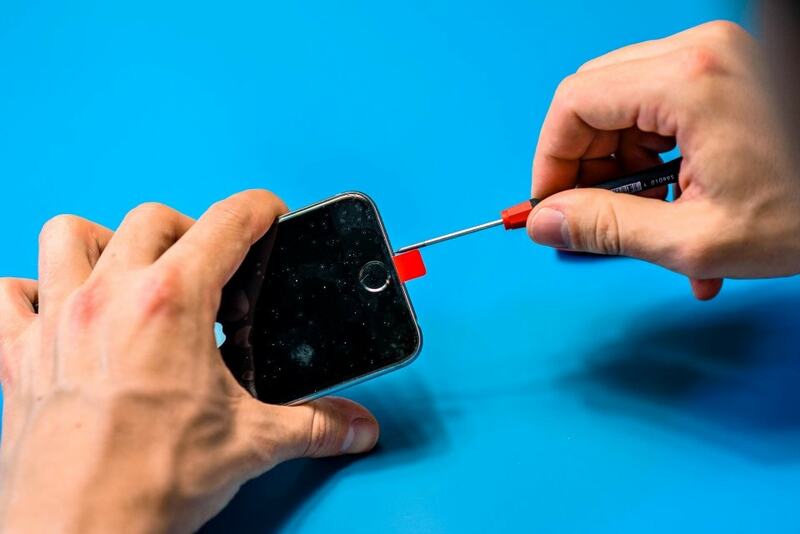 During the removal of the home button, the glued in rubber membrane has to be replaced to achieve the appropriate pressure point. Next, we remove the back cover plate and home button ribbon cable from the display - damaging the latter could lead to issues with the functioning of the home button. The cover panel is fixed in place by 1 Phillips 1.7 mm and 6 1.6 mm screws. After removing these modules, we reassemble them inside the new display panel. 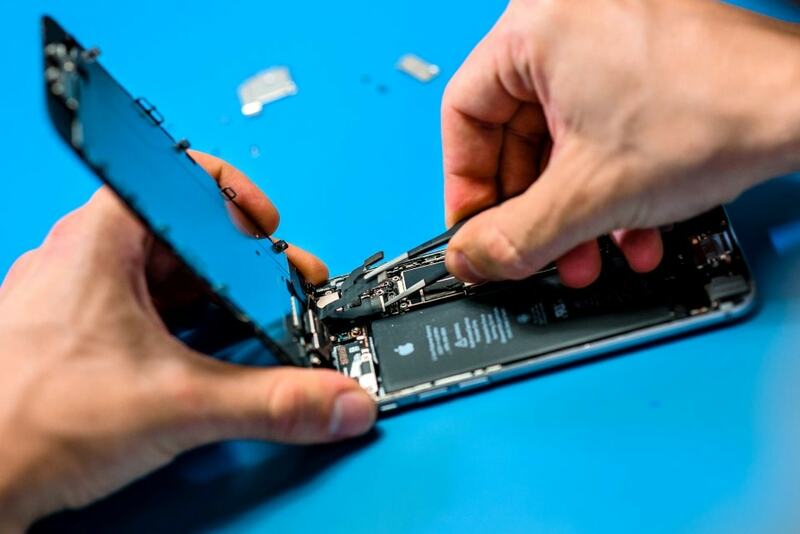 It frequently happens that the back case of the iPhone is also damaged or deformed, not just the front panel, which in these cases also needs to be repaired to ensure the appropriate seal between the display and the back case. If we are unable to repair the back case, it needs to be replaced.